In a dystopian world that doesn't seem like such a departure from our own future, people are content living under constant surveillance and absolute control. Players take on the part of Randall, a powerful telepath with a touch of schizophrenia. His abilities allow him to control and play as every single character on screen, seamlessly swapping between them, exploiting every power that they have. An evil corporation has enslaved everyone in Nook City. Citizens are now slaves working under constant surveillance. Every hint of rebellion is extinguished by security corps hired by the corporation. Randall wakes up to this madness with a strong headache and a schizophrenia flare, hearing a voice in his head. He needs to find what is going on and who is behind this. With his combat prowess, deft parkour moves and telepathic powers, Randall will have to defeat anyone who gets in his way to freedom. Explore every corner to find power ups, keys and new moves that will grant you access to previously inaccessible areas. Use enemy terminals to gain access to their maps and find the best route. Randall has sharp skills that allow you to overcome every challenge in your way. Just pay attention on timing and you will overcome even those that look impossible. Randall's telepathic powers allow him to control his enemies' weak minds to use their abilities (or bodies) to his advantage. Some places may look like dead ends, but getting into his enemies' minds can provide new ways to surpass whatever obstacle lies ahead. The player has to pay extra attention to his surroundings and use Nook's own infrastructure to defeat Randall's enemies. Turning off poisonous steam valves, pushing his foes into deadly pits, using their own traps against them or blinding them with spotlights. 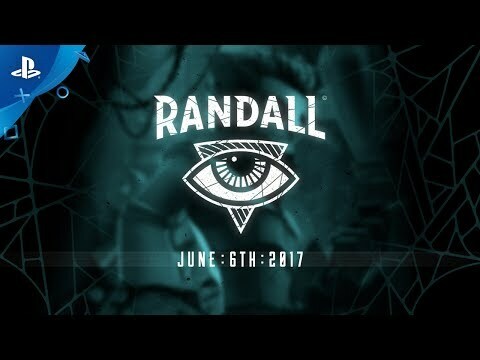 Randall can upgrade his combat, parkour and telepathic abilities to defeat the strongest enemies and overcome the deadliest traps. Strengthen his mind and body as you unveil the mysteries that led to this dystopian nightmare.